Tour points will be awarded to the Top 4 MRCA cardholding members from the rodeo results. Points will be awarded 40, 30, 20, 10. To qualify for the Eastern Tour you must compete in a MINIMUM of 8 Manitoba Rodeos. 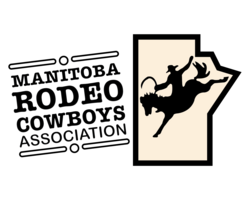 Junior contestants competing in Junior Events must compete in a MINIMUM of 6 Manitoba Rodeos. The Eastern Tour will take one contestant in the 7 major events (plus one team roping partner), and one contestant in the minor events Junior Barrel Racing, and Junior Bull Riding. To qualify for the Western Tour you must compete in a MINIMUM of 8 Saskatchewan Rodeos. Junior Contestants competing in Junior Events must compete in a MINIMUM of 6 Saskatchewan Rodeos. The Western Tour will take one contestant in the 7 major events (plus one team roping partner), and one contestant in the minor events Junior Barrel Racing, and Junior Bull Riding. If there is no qualified contestant in an event, the tour spot will roll to the 11th member in the regular season standings.